Chia seeds seem to be the new healthy fad out there now. I was at Whole Foods yesterday and I have walked by these Chia seeds for weeks and finally gave in and bought a bag of these babies! 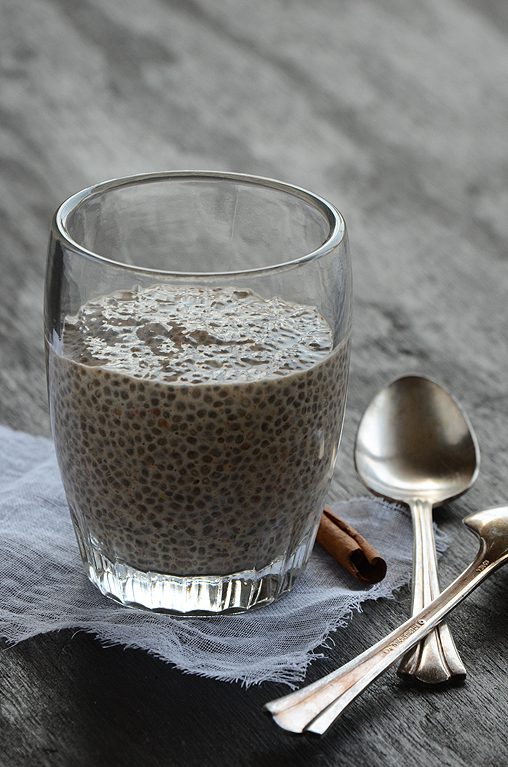 I am going to try to whip up some Chia pudding tonight before I head off to NYC. I hope its as yummy as it looks below. Do any of you have any Chia seed recipes I should try? Send them my way! *Instead of stevia, you can use any sweetener you like in this recipe, such as maple syrup, honey, etc. Here is a guideline on how sweet 1 packet of stevia is: the amount of stevia in 1 packet measures 1/2 teaspoon, which is about as sweet as 2 to 3 teaspoons of regular sugar. ← Who wants chocolate? I do I do!